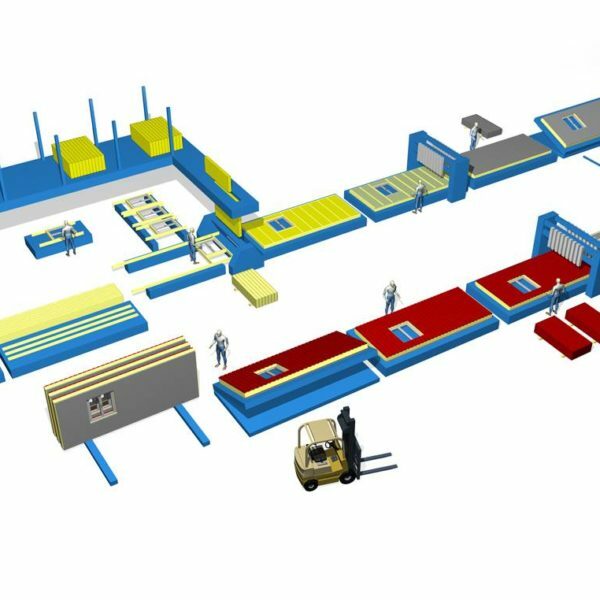 Automatic set-up of machines, enables production of changing wall height, wall thickness and wall length without reducing the capacity due to time wasting manual set-up. Automatic squaring of wall element, grippers pushes the wall element against end-stops and then the wall is clamped with a motorized clamping function automatically. 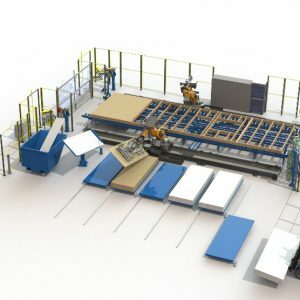 Automatic production processes, splicing of top and bottom plate, stud feeding, stud nailing, sheet/board processes: nailing, nail pushing, drilling, milling, sawing, nailing of cladding. Clear graphical operator instructions at each station on a computer screen. 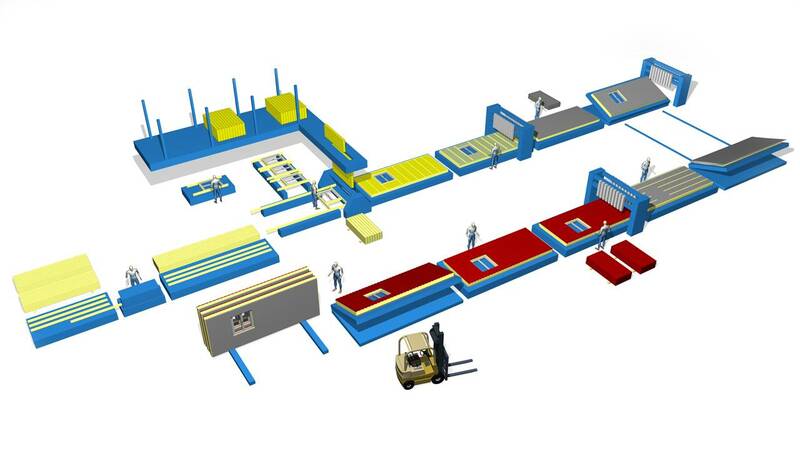 Automatic insulating handling system eliminates waste and handling of insulation in the production area. 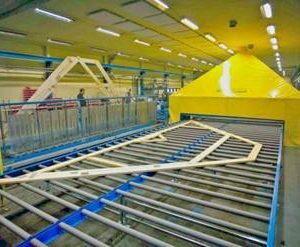 Automatic transport, cutting, gluing and feeding of insulation. High security level, safety mats between stations and light beams and run-over protection at the nailing bridges. 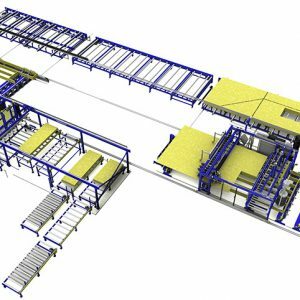 Automatic transport system between stations with frequency controlled motors for high transport speed and non-damaging start and stop. 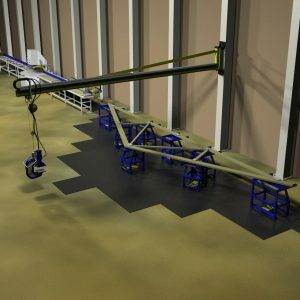 Plate-top chains for possibility to reverse also very heavy wall elements.